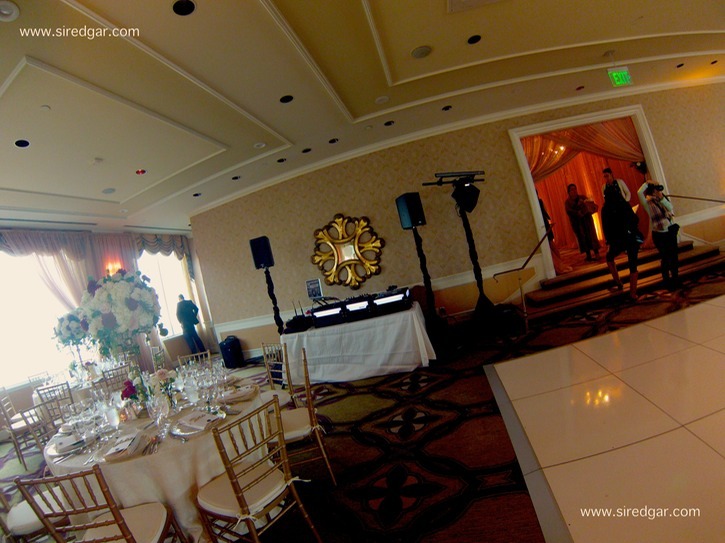 Setups | Designs by E.S. 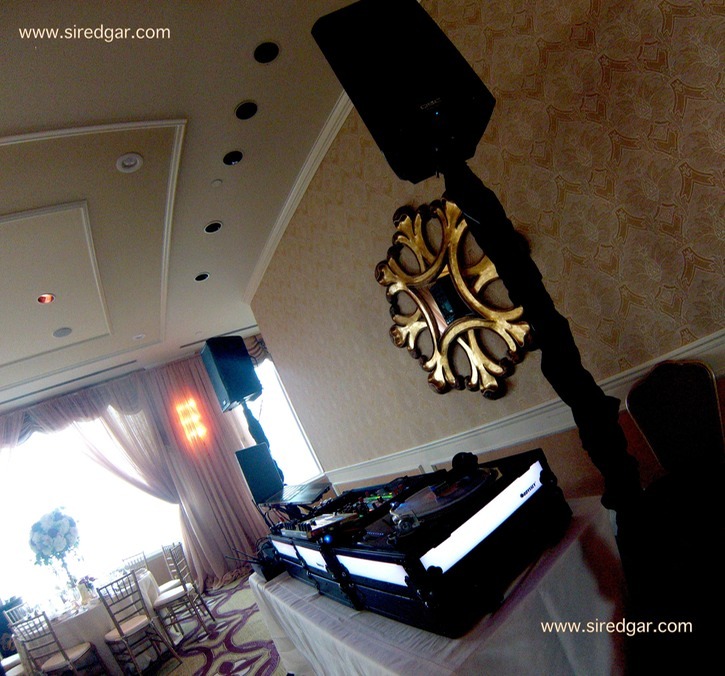 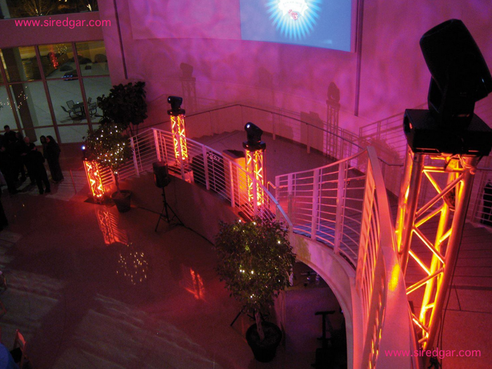 * This is our more popular setup where lighting upgrades aren't a priority but having good, quality sound is. 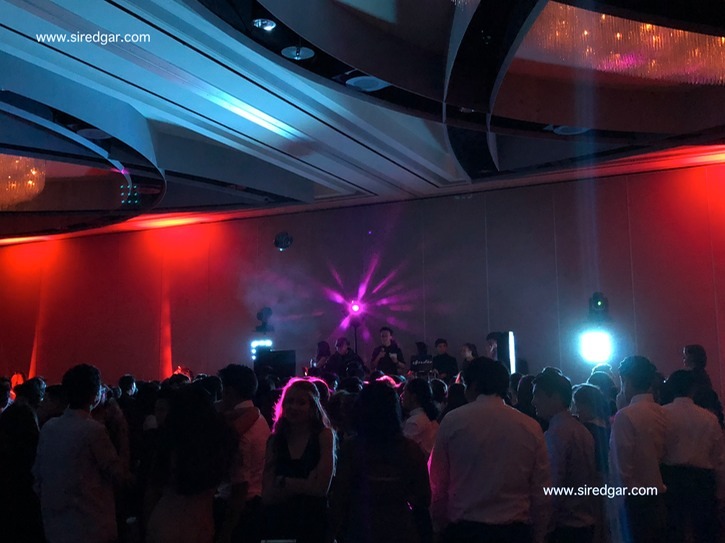 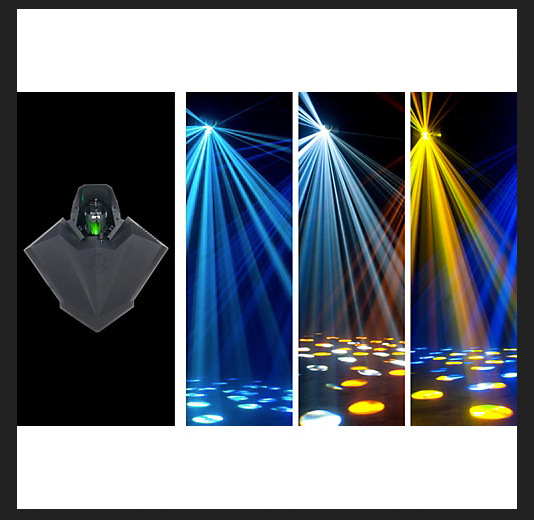 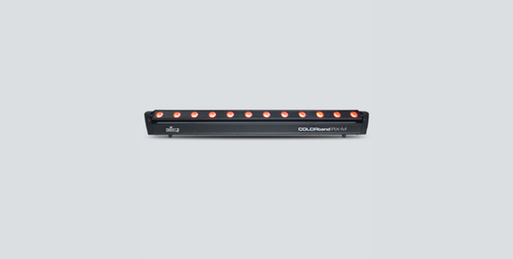 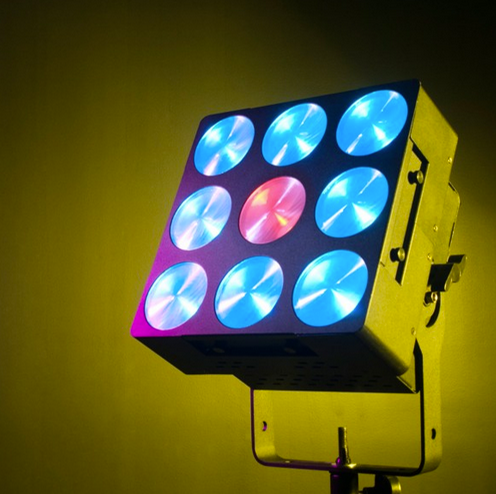 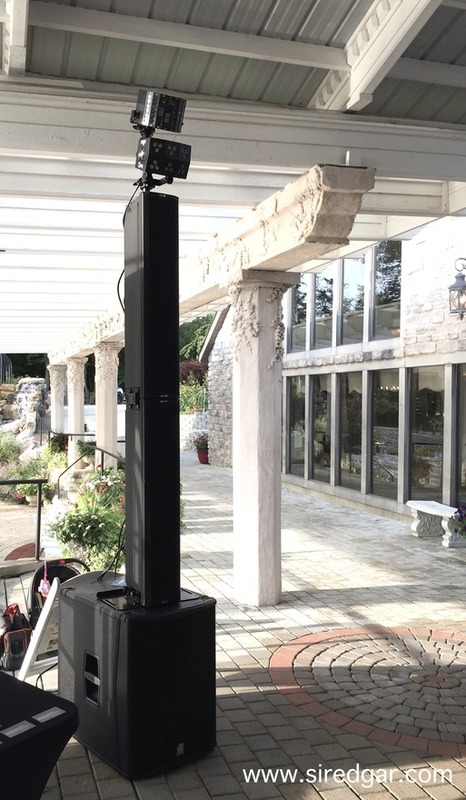 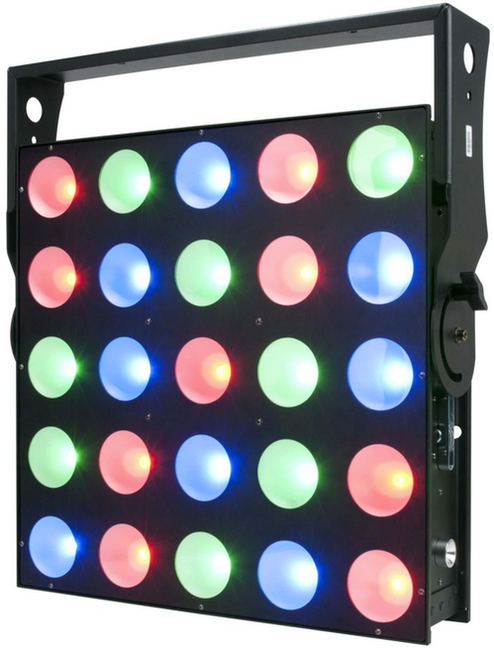 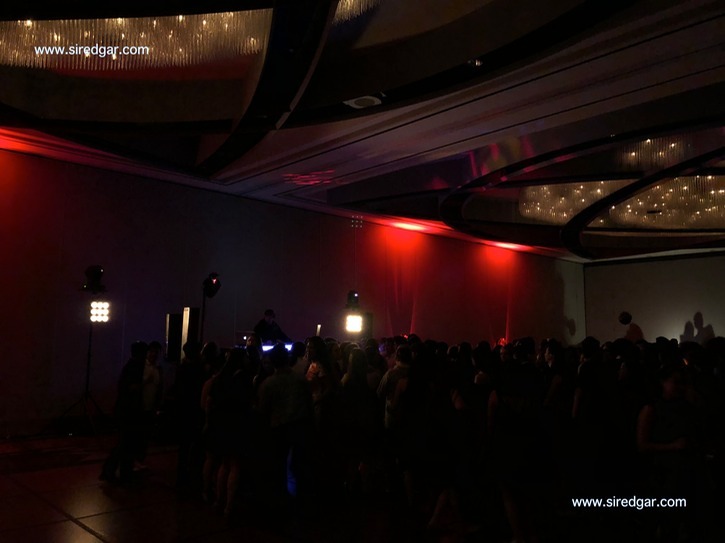 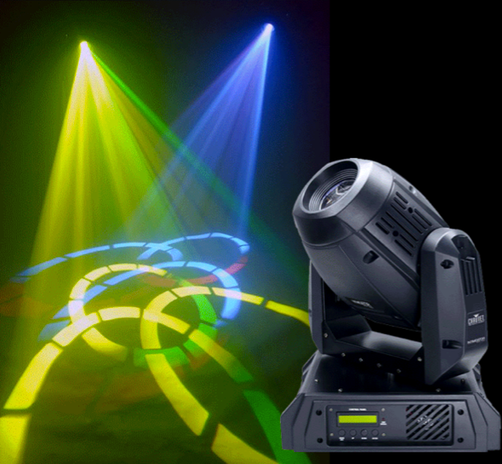 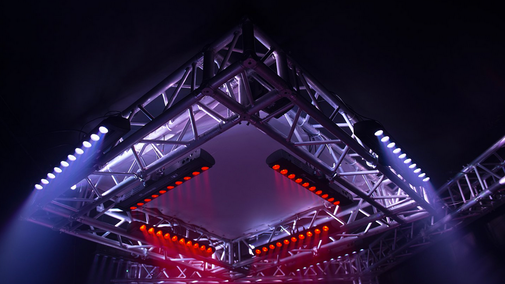 Ideal for those who want to notch things up for dancing and also have a simple, yet effective 2-tiered lighting effects for the dance floor. 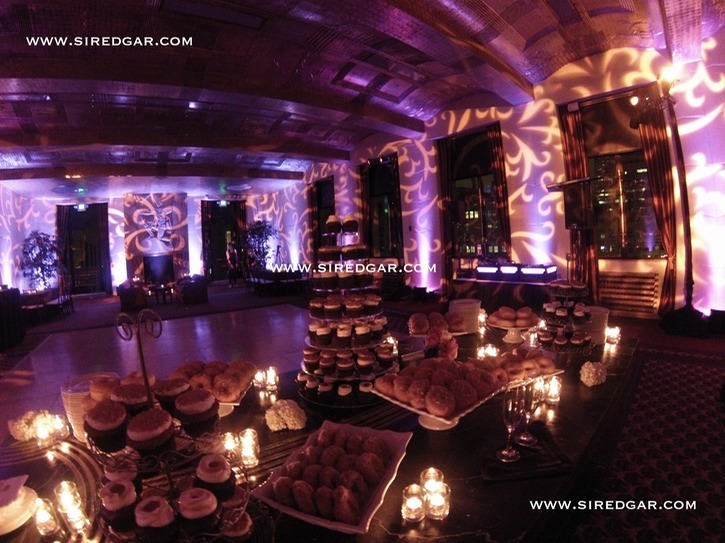 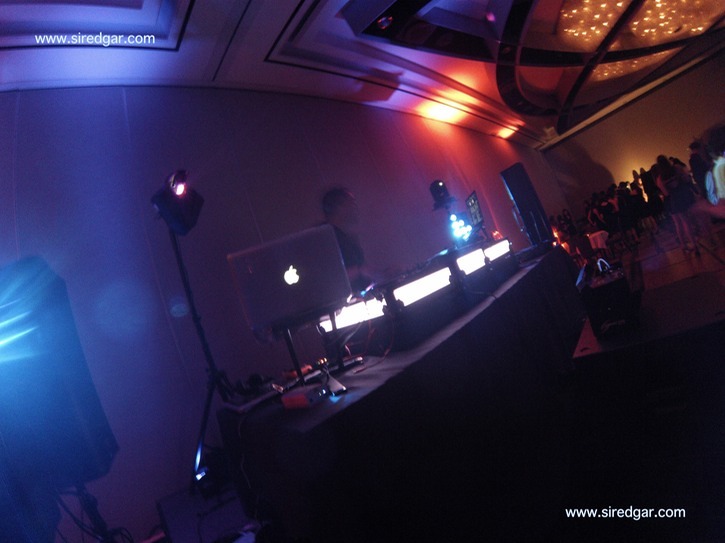 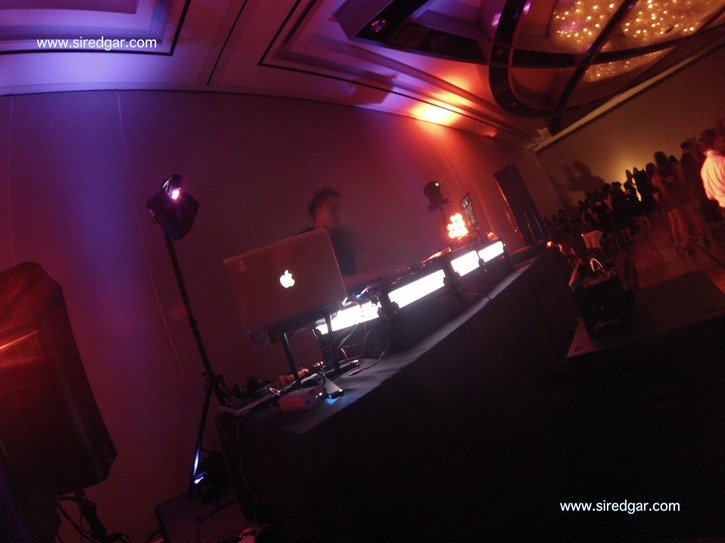 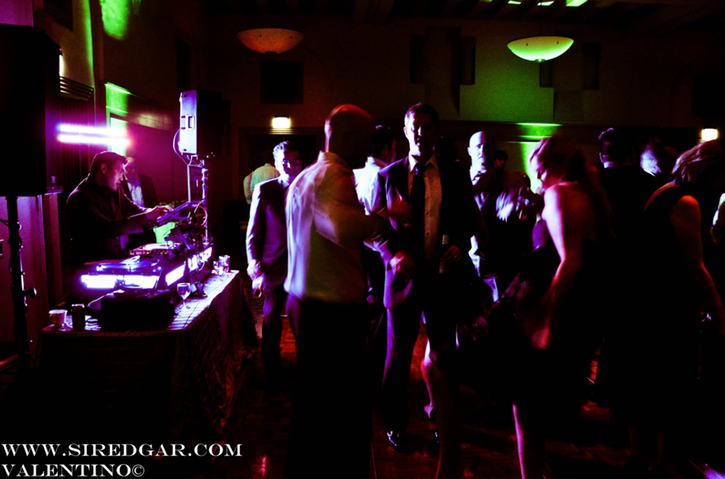 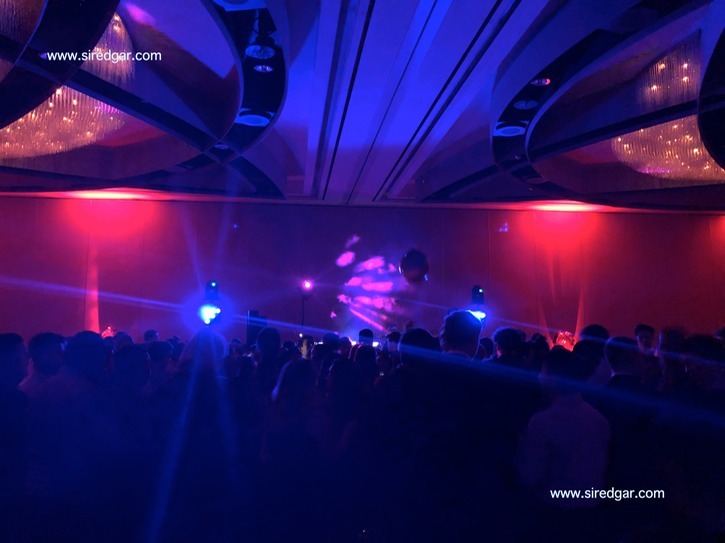 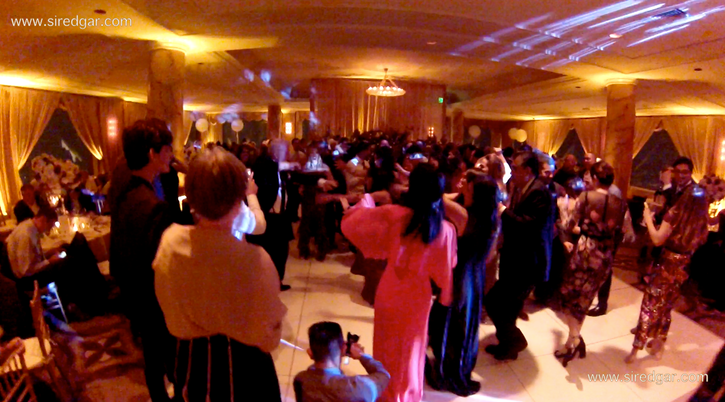 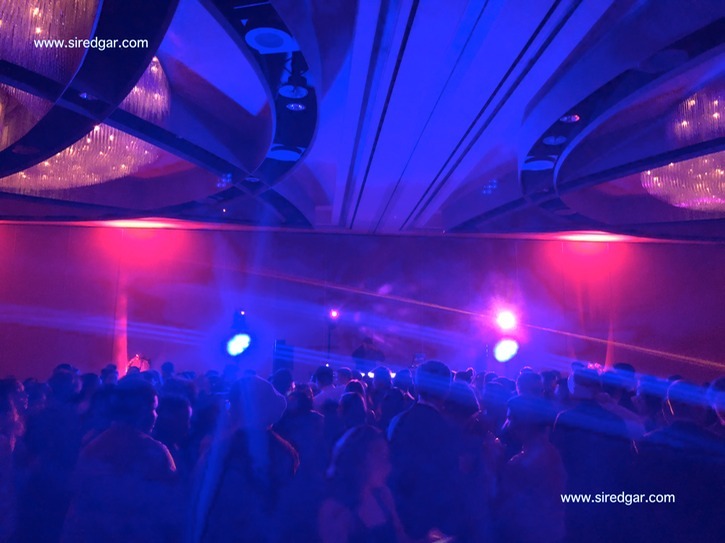 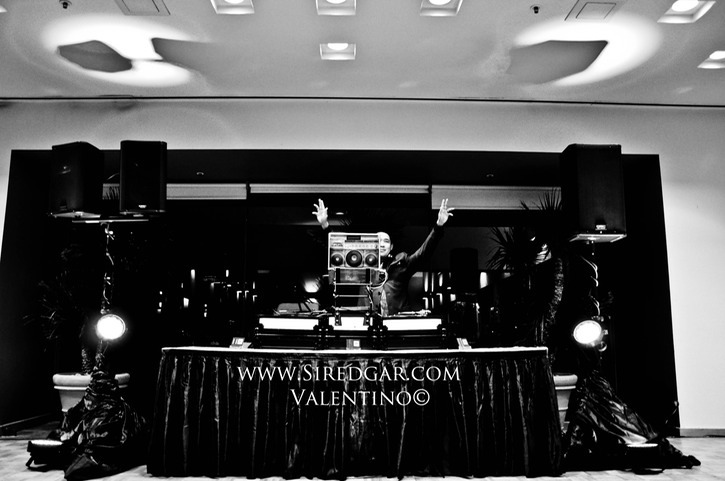 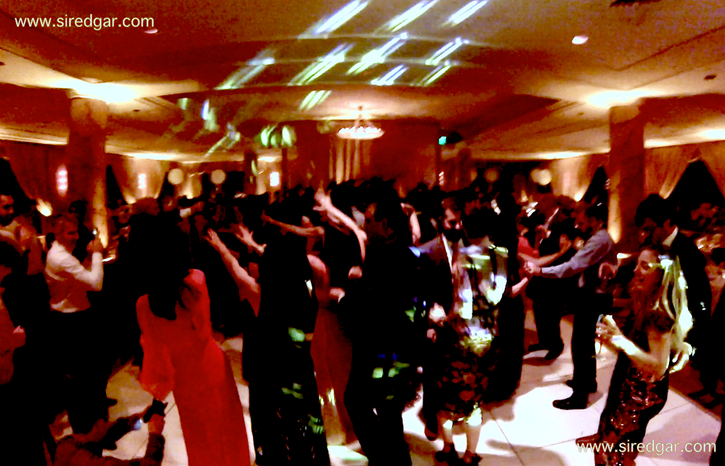 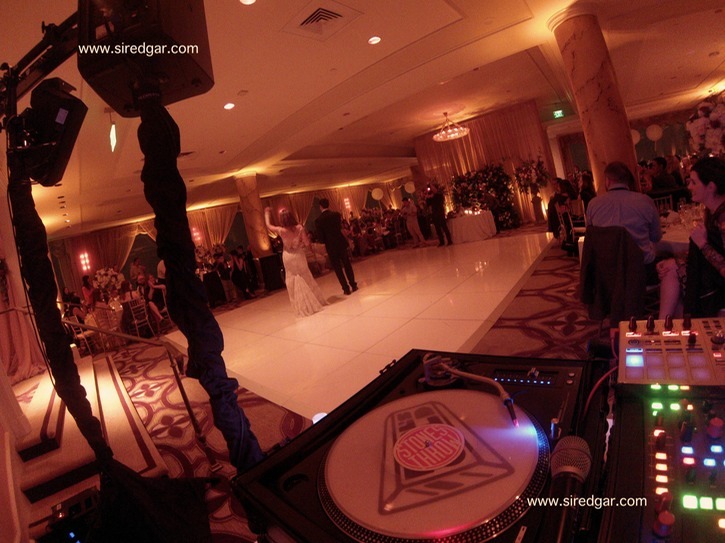 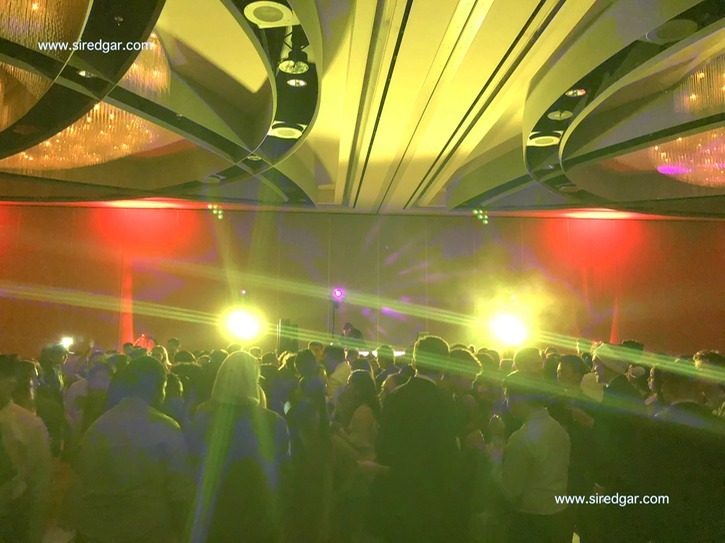 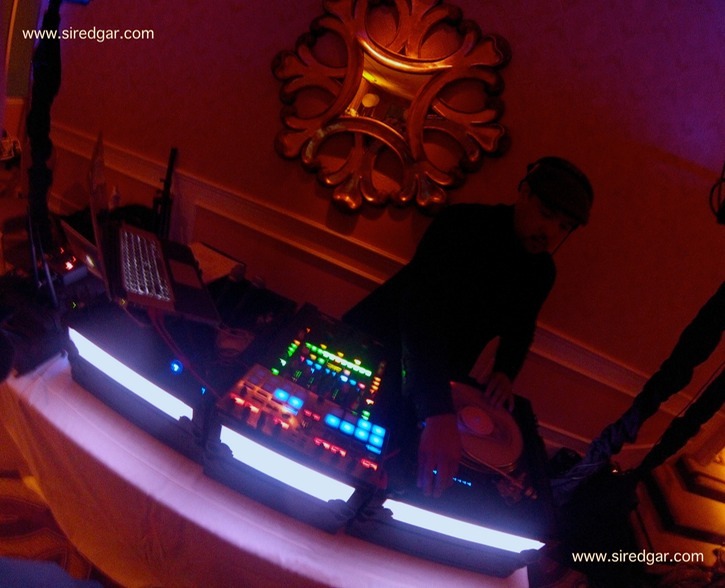 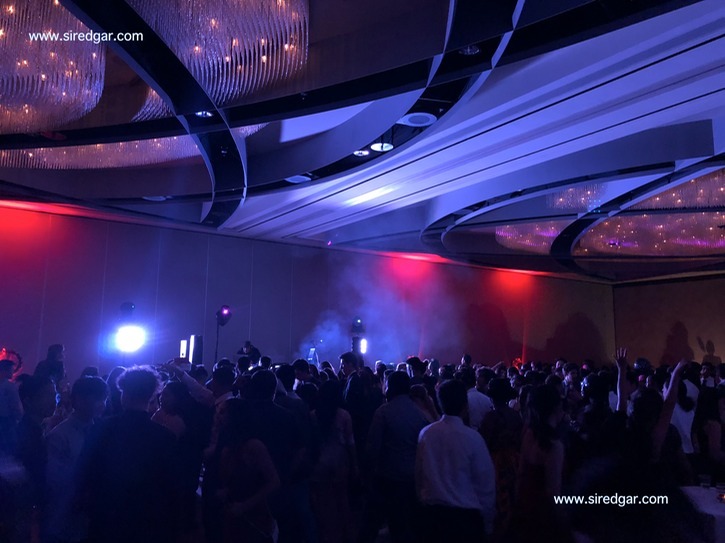 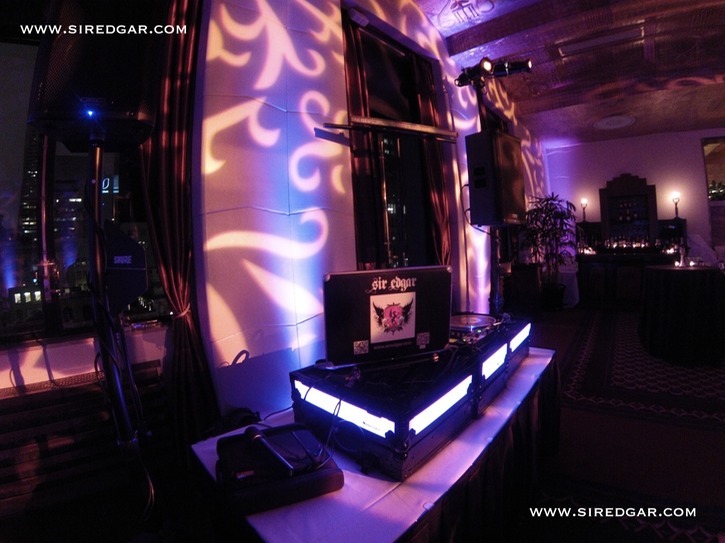 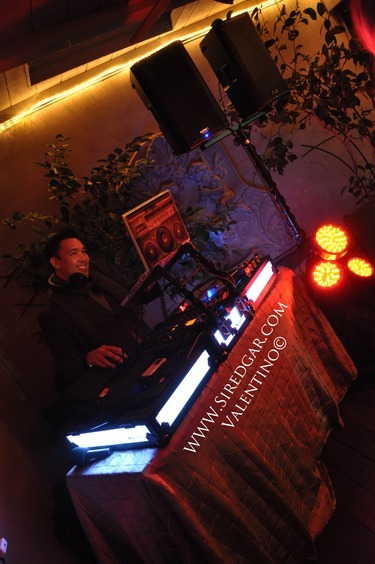 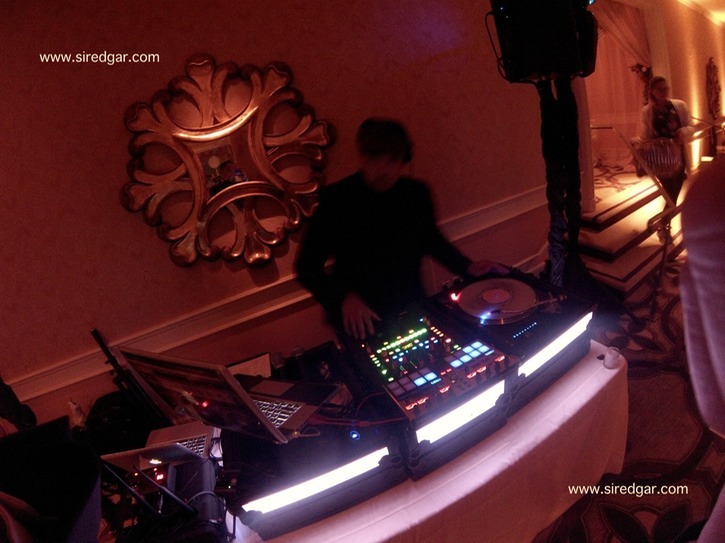 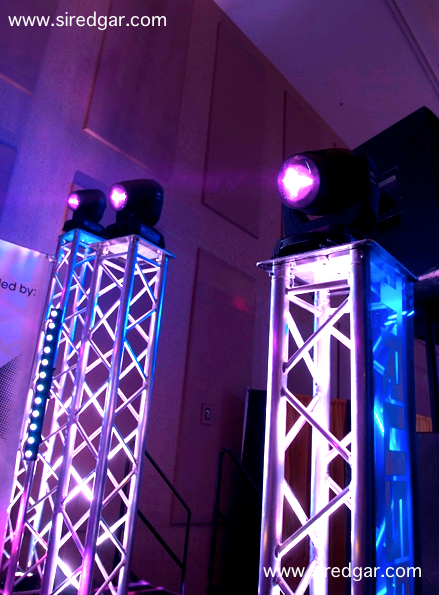 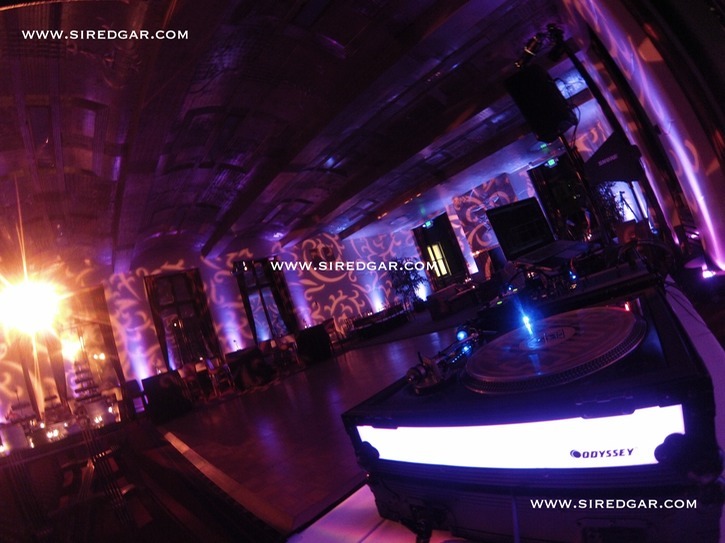 The LED bar provides a great color-wash on the dancefloor and our custom lighted cases add another visual dynamic. 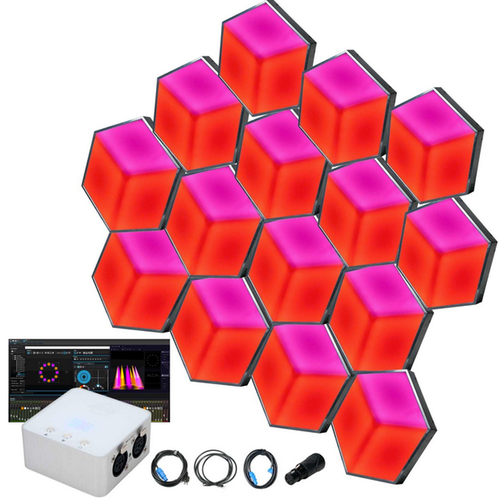 Both have built-in programs and change colors to the beat of the music. 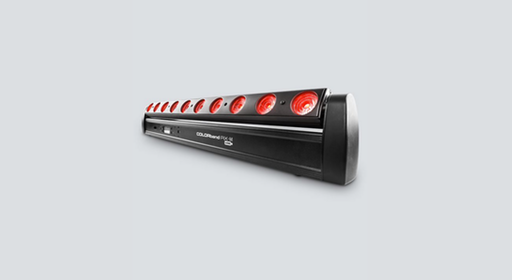 * Great sound primarily due to the addition of the Italian made RCF subwoofer. 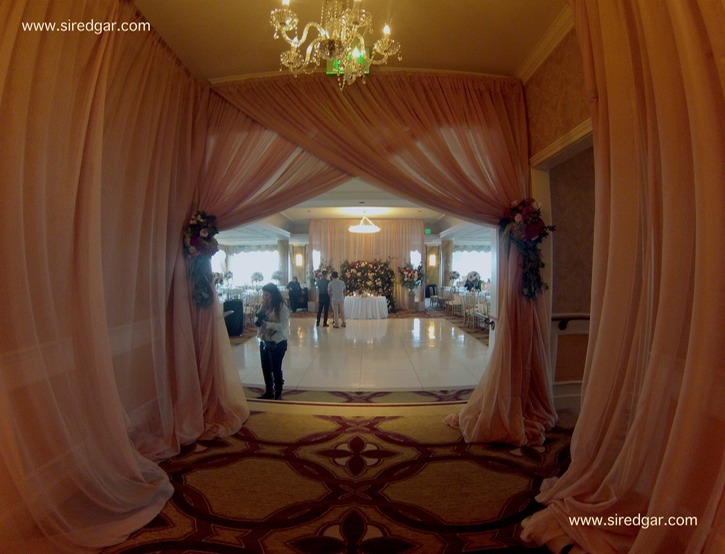 Room ambiance with the added soft-pink/salmon draping + walled color-wash, but emphasis also on notching up the dancefloor lighting to the next level. 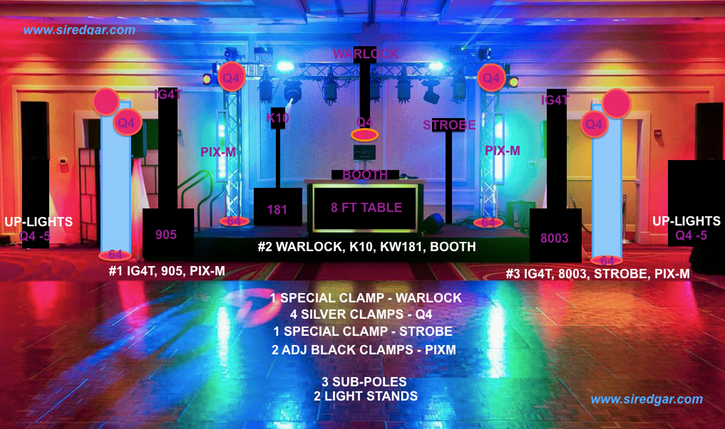 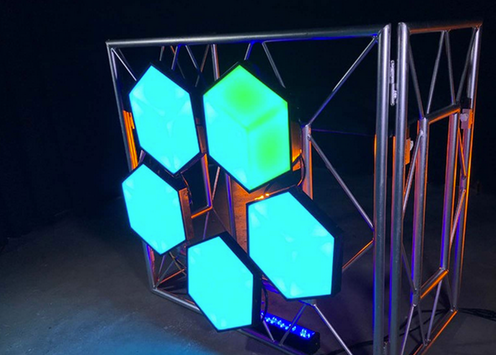 Here, a DMX controlled Warlock centerpiece has no equal. 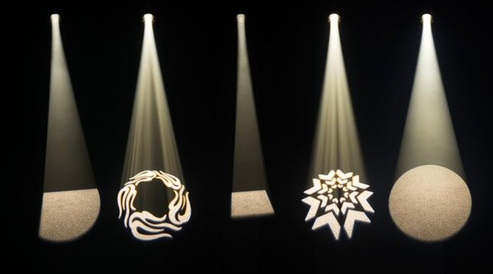 The Warlock is a high-end lighting effect. 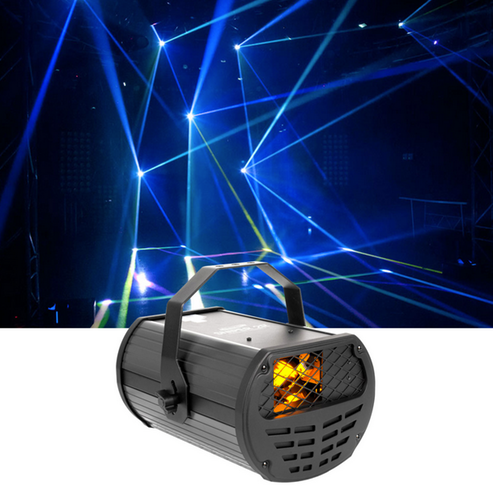 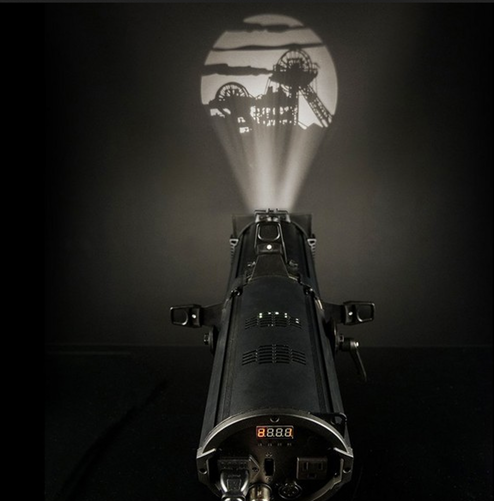 If used with a haze machine, the end result is even more brilliant & riveting.